The World Cup champion United States women’s national team plays in Kansas City Friday, July 22. The team’s match against Costa Rica is the final tune-up for the 2016 Olympics and kicks off at 8 p.m. CT at Children’s Mercy Park in Kansas City, Kans. The women’s national team’s appearance in Kansas City is your chance to see some of the best players in the world of women’s soccer. These are players like Alex Morgan, Megan Rapinoe, Tobin Heath and 2015 Women’s World Cup hero Carli Lloyd. Lloyd scored a hat trick in the 2015 final, with one of her goals scored from beyond the halfway line. In the same weekend, Sporting KC will also play at Children’s Mercy Park. Sporting will take on the Seattle Sounders on Sunday, which features Jordan Morris and US national team star Clint Dempsey. Sporting KC is coming off a loss to the Colorado Rapids in Denver last weekend. Tickets For Less has a limited selection of tickets still available for the US women’s game. You can sit in the South Stand GA for as low as $78, but West Stand and East Stand tickets are available starting at $88. 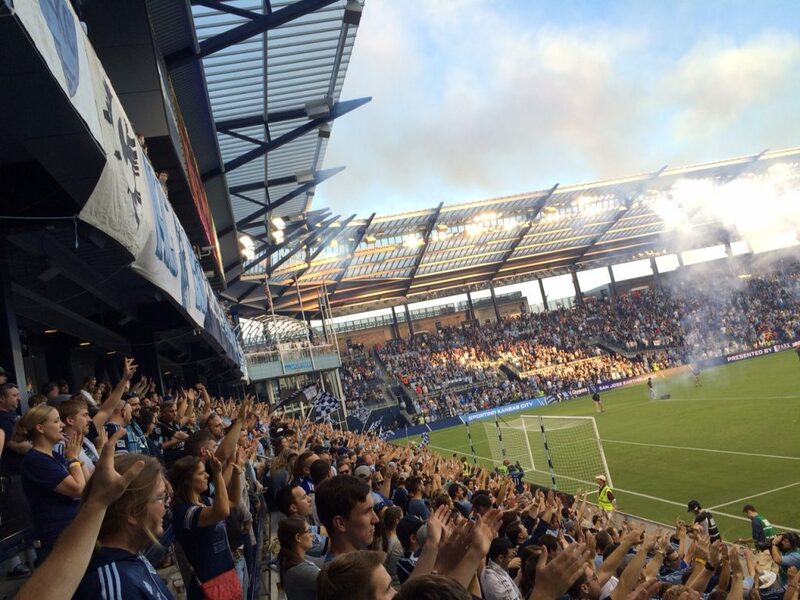 For tickets to Sporting KC-Sounders on Sunday, Tickets For Less has tickets starting at $58. The selection for seats is also limited for that game, so make sure you secure your seats. The US team, coming off the Women’s World Cup win in 2015, is a favorite to win the 2016 Olympics in Rio. The group stage of this summer’s Olympic competition, however, will not be easy. The United States team is up against some of the world’s best. Colombia, France and New Zealand make up Group G of the Olympics along with the US. France, 2015 Women’s World Cup quarterfinalist, will be a tough opponent. Tickets For Less is an Overland Park, Kan.-based ticket seller. We are one of the largest sellers in the country of Kansas City Chiefs, Kansas City Royals, Kansas Speedway and Sprint Center tickets. To order, call 866-685-3322 or visit our website.